Good morning Surfers! 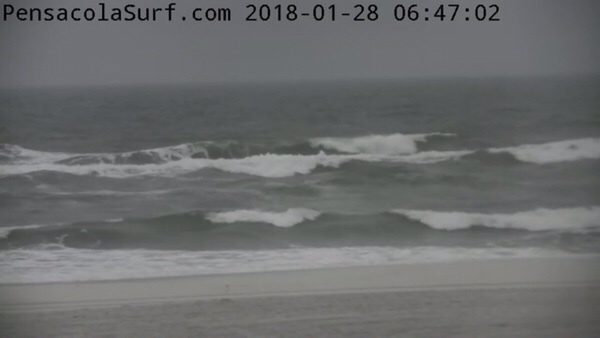 We have chest to head high waves again today with rainy weather. 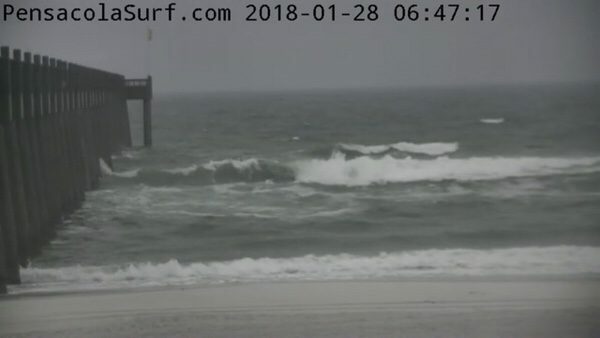 The wind is South now from 15 – 20 mph causing choppy, disorganized conditions. 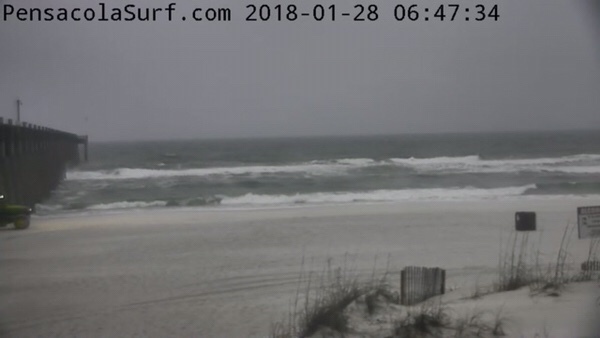 I do see a few promising lines out there and some forecasts are calling for the wind to go offshore this afternoon. 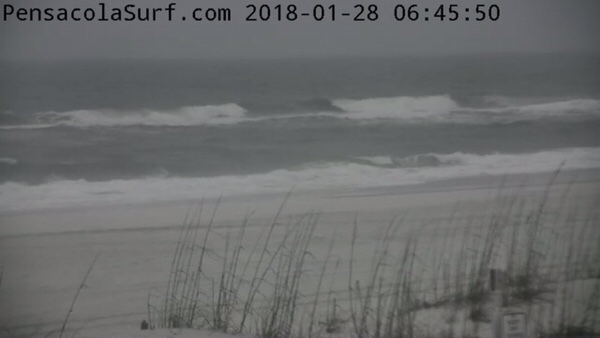 The tide was low at 6:08 am and will be high at 7:05 pm. 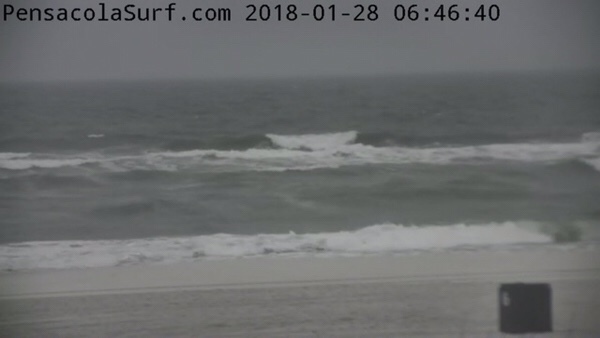 The water temp is around 58 F. Get your boards ready because it could get good later. Come listen to Hippy Jim while you have some brunch at the Single Fin before you go get barreled this afternoon. See you in the lineup!